Ben’s racing career started in the Aprilia Superteen Series in 2000, where he came 13th. Following this he competed in the British Junior Superstock Championship for two consecutive years. 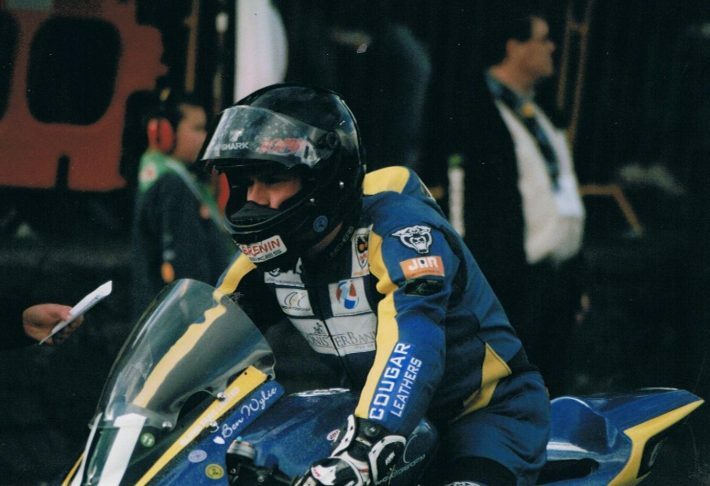 After his time competing in the British Junior Superstock Championship, Ben raced in the British Superstock Championship and the 2005 European Superstock Championship as well as the World Endurance Championship. In 2006 Ben started to compete in the British Supersport Championship, where he appeared in the following years. His first TT appearance came in 2009, where he finished in all five of the races he entered. His highest finish was in the Senior TT where he placed 25th, in a race won by Ian Hutchinson whilst he also finished 29th in the first Supersport race, 30th in the Superbike, 33rd in the Superstock and 40th in the second Supersport race. He won three bronze replicas and also the coveted Newcomers Trophy. Ben has appeared at every TT since making his debut and in that time he has achieved three top ten finishes with his best result coming in the 2011 Supersport TT 2 race where he came 7th with an average speed of 119.85. Another of his top 10 finishes came in the same year, this time in the Supersport TT race 1 where he came 8th. These were the results he mentions in his personal career highlights. His other and most recent top 10 appearance was in 2013 in the Superstock race, 10th place in a race won by Michael Dunlop was the outcome. He sat out the 2018 TT but was back in action around the Mountain Course for the Classic TT although he was forced to retire on his 750cc Bimota. At the Macau Grand Prix, a spill towards the end of the race, after a coming together with Phil Crowe, left him with a number of injuries but he’s now well on the way to a full recovery and hopes to be back racing in 2019.